Schema therapy is an evidence-based therapy with a proven record of effectiveness in international randomized controlled trials—the gold standard of proof in medicine and psychology. This therapy uses innovative techniques that have helped people with even the most complex and difficult personal problems to change. 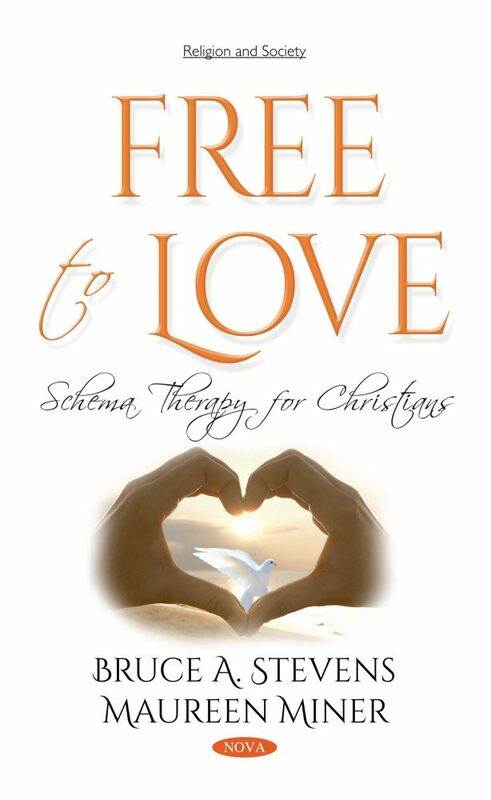 In Free to Love, schema therapy is brought into a Christian worldview and so the authors use biblical insights about human nature together with spiritual resources such as prayer in the therapy. This book provides a self-help resource for Christians. Simply being a Christian does not make life easy; sometimes, Christians get stuck in “life traps”. This book offers a way out of such traps. The authors believe that the best way out uses both faith and psychological insight. Both are important because “All truth is God’s truth.” The authors outline a truth-infused path to change long-standing patterns of dysfunction. The authors chose schema therapy because it is an effective, practical, and a good way of explaining the childhood origins of psychological difficulties. Additionally, it draws upon established practices from other therapies, deals with a range of problems from simple to the most complex, and can be integrated with theological insights. This book’s integration with Christianity uses attachment theory. Schema therapy is partly based on attachment theory, among other influences. Insights from Christian understanding of attachment to God and to other people are used in explanations and in exercises where relevant. As a result, this book provides a sophisticated adaption of schema therapy using insights from Christian work on attachment theory in particular, along with some other biblical themes. The focus of the book is on providing an up-to-date Christian self-help resource that reflects the evolution of schema therapy over the past twenty-three years. This resource is useful for believers who are seeing schema therapists. It is equally useful for those who read self-help literature for personal growth and want to chart their own course of recovery within a Christian context of understanding. Throughout, the authors use examples from their Christian clinical practice to illustrate ideas and strategies. Over 90 different self-help exercises are included for reflection, experience, and behavioral change. Some are demanding and even complex, but all are useful. Some are adaptations of interventions routinely used by therapists who do schema therapy. For reflection, we ask the reader to keep a journal, both as a kind of psychological autobiography and as a very useful discipline long associated with the Christian tradition. The experiential exercises help readers experience something in a different way. For behavior change, readers are encouraged to try different activities and reflect on the meaning and implications of deeply held beliefs. This will eventually lead to “behavioral pattern breaking”. Christians wanting to understand and overcome life traps, or therapists working with Christians, can use Free to Love as a guide and practical resource. There are options to deeply engage with the material either on a first or later reading in the exciting process of understanding and change. Ainsworth, M. D. 1985. “Attachments across the life span.” Bulletin of the New York Academy of Medicine 61(9), 792–812. Arntz, A. 2012. “Schema therapy for cluster C personality disorders.” In The Wiley-Blackwell Handbook of Schema Therapy: Theory, Research and Practice, M. van Vreeswijk, J. Broersen and M. Nadort (eds), 397–414, Oxford, UK: Wiley-Blackwell. Arntz, A. and van Genderen, H. 2010. Schema Therapy for Borderline Personality Disorder. Chichester, West Sussex: Wiley-Blackwell. Arntz, A. and Jacob, G. 2013. Schema Therapy in Practice: An Introductory Guide to the Schema Mode Approach. Oxford: Wiley-Blackwell. Arntz, A. and Weertman, A. 1999. “Treatment of Childhood Memories: Theory and practice.” Behavior Research and Therapy 37:715–740. Atkinson, T. 2012. “Schema Therapy for Couples: Healing Partners in a Relationship.” In The Wiley-Blackwell Handbook of Schema Therapy: Theory, Research and Practice, M. van Vreeswijk, J. Broersen and M. Nadort (eds), 323–335, Oxford, UK: Wiley-Blackwell. Ball, S. A. (1998). “Manualized Treatment for Substance Abusers with personality disorder: dual focus schema therapy.” Addictive Behaviors 23(6):883–891. Bamelis, L., Bloo, J., Bernstein, D. and Arntz, A. 2012. “Effectiveness studies.” In The Wiley-Blackwell Handbook of Schema Therapy: Theory, Research and Practice, M. van Vreeswijk, J. Broersen and M. Nadort (eds), 495–510, Oxford, UK: Wiley-Blackwell. Bamelis, L., Evers, S., Spinhoven, P., and Arntz, A. 2014. “Results of a Multicentre Randomized Controlled Trial of the Clinical Effectiveness of Schema Therapy for Personality Disorders.” American Journal of Psychiatry in Advance, ajp.psychiatryoneline.org, 1–18. Bateson, G. 1972. Steps to an Ecology of Mind: Collected Essays in Anthropology, Psychiatry, Evolution, and Epistemology. University Of Chicago Press. Beck, A. 1963. “Thinking and Depression.” Archives of General Psychiatry 9:324–333. Benjamin, J. 1995. Like Subjects, Love Objects: Essays on Recognition and Sexual Difference. New Haven: Yale University Press. Bennett-Levy, J., Butler, G., Fennell, M., Hackman, A., Mueller, M., and Westbrook, D. (eds) 2004. Oxford Guide to Behavioral Experiments in Cognitive Therapy. Oxford: Oxford University Press. Berstein, A. 2010. The Myth of Stress: Where Stress Really Comes From and How to Live a Happier, Healthier Life. London: Piaktus. Bernstein, D., Arntz, A., and de Vos, M. 2007. “Schema Focused Therapy in Forensic Settings: Theoretical Model and Recommendations for Best Clinical Practice.” International Journal of Forensic Mental Health 6(2):169–183. Bernstein, D., Keulen-de Vos, M., Jonkers, P., de Jonge, E., and Arntz, A. 2012. “Schema Therapy in Forensic Settings.” In The Wiley-Blackwell Handbook of Schema Therapy: Theory, Research and Practice, M. van Vreeswijk, J. Broersen and M. Nadort (eds), 425–438, Oxford, UK: Wiley-Blackwell. Boszormenyi-Nagy, I. and Krasner, B., 1986. Between Give and Take. New York: Brunner/Mazel. Brockman, R. 2013. Schema Modes and Psychological Flexibility Processes: An Approach to Functional Integration and Initial Cross-Sectional Data. Symposium presented at the 11th World Conference for the Association of Contextual Behavioral Science, Sydney Australia, 11 July 2013. Ciarrochi, A., Bailey, J., and Harris, R. 2014. The Weight Escape: How to Stop Dieting and Start Living. Boston, Massachusetts: Shambhala. Cohen, V. 1996. Human Attachment, New Jersey: McGraw Hill. Cousineau, P. 2012. “Mindfulness and ACT as Strategies to Enhance Healthy Adult Mode: The Use of the Mindfulness Flash Card as an Example.” In The Wiley-Blackwell Handbook of Schema Therapy: Theory, Research and Practice, M. van Vreeswijk, J. Broersen and M. Nadort (eds), 249–257, Oxford, UK: Wiley-Blackwell. Creamer, M., Forbes, D., Phelps, A., & Humphreys, L. (2007). Treating Traumatic Stress: Conducting Imaginal Exposure in PTSD, 2nd edition. Melbourne, Victoria: Australian Centre for Posttraumatic Health. Crittendon, P. M. 2000. “A Dynamic-Maturational Approach to Continuity and Change in Patterns of Attachment.” In The Organization of Attachment Relationships: Maturation, Culture and Context, P. Crittenden and A. Claussen (eds), 343–357, Cambridge: Cambridge University Press. Edwards, D. 2014. “Schemas in Clinical Practice: What they are and how we can change them?” Bulletin of Psychologists in Independent Practice, 34(1):10–13. Edwards, D. and Arntz, A. 2012. “Schema Therapy in Historical Perspective.” In The Wiley-Blackwell Handbook of Schema Therapy: Theory, Research and Practice, M. van Vreeswijk, J. Broersen and M. Nadort (eds), 3–26, Oxford, UK: Wiley-Blackwell. Ecker, B., Ticic, R., and Hulley, L. 2013. Unlocking the Emotional Brain: Eliminating Symptoms at their Roots using Memory Reconsolidation. New York: Routledge. Farrell, J. and Shaw, I. 2012. Group Schema Therapy for Borderline Personality Disorder: A Step-by-Step Treatment Manual with Patient Workbook. Chichester, UK: Wiley-Blackwell. Farrell, J., Reiss, N., and Shaw, I. 2014. The Schema Therapy Clinician’s Guide: A Complete Resource for Building and Delivering Individual, Group and Integrated Schema Mode Treatment Programs. Chichester, UK: John Wiley & Sons. Freud, S. 1923. The Ego and the Id, standard edition (J. Strachey, Trans. ), 19:1–66. London: Vintage. George, C., Kaplan, N., and Main, M. 1984/1985/1996. “The Attachment Interview for Adults.” Unpublished manuscript, Berkeley, California. Germer, C. K. 2009. The Mindful Path to Self-Compassion: Freeing Yourself from Destructive Thoughts and Emotions. New York: Guilford Press. Gilbert, P. 2010. The Compassionate Mind: A New Approach to Life’s Challenges. London: New Harbinger Publications. Gilbert, P. 2010. Compassion Focused Therapy: Distinctive Features. New York: Routledge/Taylor & Francis Group. Granqvist, P., Mikulincer, M., Gewirtz, V., and Shaver, P. R. 2012. “Experimental Findings on God as an Attachment Figure: Normative Processes and Moderating Effects of Internal Working Models.” Journal of Personality & Social Psychology 103(5):804–818. Granqvist, P. and Kirkpatrick, L. A. 2013. “Religion, Spirituality, and Attachment.” In APA Handbook for the Psychology of Religion and Spirituality, volume 1, Context, Theory, and Research, K. Pargament (ed. ), 129–155, Washington DC: American Psychological Association. Granqvist, P., Mikulincer, M., and Shaver, P. R. 2010. “Religion as Attachment: Normative Processes and Individual Differences.” Personality and Social Sciences Review, 14, doi: 10.1177/1088868309348618. Gunton, C. E. 2002. Act and Being: Towards a Theology of the Divine Attributes. London: SCM Press. Hackmann, A., Bennett-Levy, J., and Holmes, E. 2011. Oxford Guide to Imagery in Cognitive Therapy. Oxford: Oxford University Press. Hare, R. 1993. Without Conscience: The Disturbing World of the Psychopaths among Us. New York: Guilford Press. Hargrave, T. D. 2000. The Essential Humility of Marriage. Phoenix, Arizona: Zeig, Tucker and Theisen, Inc.
Hayes, S., Luoma, J., Bond, F., Masuda, A., and Lillis, J. 2006. “Acceptance and Commitment Therapy: Model, Processes and Outcomes.” Behavior Research and Therapy, 44(1):1–25. Hazan, C., Hutt, M. J., Sturgeon, M. J., & Bricker, T. 1991. “The process of relinquishing parents as attachment figures.” Paper presented at the biennial meeting of Society for Research on Child Development, Seattle, Washington. Jacob, G., van Genderen, H., and Seebauer, L. 2015. Breaking Negative Thinking Patterns: A Schema Therapy Self-Help and Support Book. Oxford, UK: Wiley-Blackwell. Johnson, S. M. 2004. The Practice of Emotionally Focused Couple Therapy: Creating Connection, 2nd edition. New York: Brunner-Routledge. Kellogg, S. 2004. “Dialogical Encounters: Contemporary Perspectives on ‘Chair-Work’ in Psychotherapy.” Psychotherapy: Theory, Research, Practice, Training 41(3):310–320. Kellogg, S. H. 2012. “On Speaking One’s Mind: Using Chair-Work Dialogues in Schema Therapy.” In The Wiley-Blackwell Handbook of Schema Therapy: Theory, Research and Practice, M. van Vreeswijk, J. Broersen and M. Nadort (eds), 197–207, Oxford, UK: Wiley-Blackwell. Kellogg, S. H. 2015. Transformational Chairwork: Using Psychological Dialogues in Clinical Practice. Landam, Maryland: Rowman and Littlefield. Kellogg, S. H. and Young, J. E. 2006. “Schema Therapy for Borderline Personality Disorder.” Journal of Clinical Psychology 62(4):445–458. Linehan, M. and Dexter-Mazza, E. 2008. “Dialectical Behavioral Therapy for Borderline Personality Disorder.” In Clinical Handbook of Clinical Disorders, 4th edition, D. Barlow (ed. ), 365–420. New York: Guilford Press. Lockwood, G. and Perris, P. 2012. “A New Look at Core Emotional Needs.” In The Wiley-Blackwell Handbook of Schema Therapy: Theory, Research and Practice, M. van Vreeswijk, J. Broersen and M. Nadort (eds), 41–66, Oxford, UK: Wiley-Blackwell. Lockwood, G. and Shaw, I. 2012 “Schema Therapy and the Role of Joy and Play.” In The Wiley-Blackwell Handbook of Schema Therapy: Theory, Research and Practice, M. van Vreeswijk, J. Broersen and M. Nadort (eds), 209–227, Oxford, UK: Wiley-Blackwell. McGoldrick, M. and Gerson, R. 1985. Genograms in Family Assessment. New York: W. W. Norton. Mikulincer, M. and Shaver, P. R. 2007. Attachment Patterns in Adulthood: Structure, Dynamics, and Change. New York: Guilford Press. Mikulincer, M., Shaver, P. R., Bar-On, M., and Ein-Dor, T. 2010. “The Pushes and Pulls of Close Relationships: Attachment Insecurities and Relational Ambivalence.” Journal of Personality and Social Psychology, 98(3):450–468. Miner, M. 2007. “Back to the Basics in Attachment to God: Revisiting Theory in Light of Theology.” Journal of Psychology & Theology, 35(2):112–122. Miner, M. 2009. “The Impact of Child–Parent Attachment, Attachment to God and Religious Orientation on Psychological Adjustment.” Journal of Psychology & Theology, 37(2):114–124. Miner, M., Dowson, M., and Devenish, S. (eds) 2012. Beyond Well-being: Spirituality and Human Flourishing. Charlotte, North Carolina: Information Age Publishing. Miner, M., Dowson, M., and Malone, K. 2014. “Attachment to God, Psychological Need Satisfaction, and Well-Being among Christians.” Journal of Psychology & Theology, 42(4):326–342. Neff, K. D. 2011a. Self-compassion: Stop Beating Yourself Up and Leave Insecurity Behind. London: Hodder and Stoughton. Neff, K. D. 2011b. “Self-compassion, Self-esteem and Well-being.” Social and Personality Psychology Compass, 5(1):1–12. Neff, K. D. and Germer, C. K. 2012. “A Pilot Study and Randomized Controlled Trial of the Mindful Self-Compassion Program.” Journal of Clinical Psychology, 69(1):28–44. Omaha, J. 2001 Affect Management Skills Training Manual, Chicago: Chemotion Institute. http://www.johnomahaenterprises.com/. Parfy, E. 2012. “Schema Therapy, Mindfulness and ACT: Differences and Points of Contact.” In The Wiley-Blackwell Handbook of Schema Therapy: Theory, Research and Practice, M. van Vreeswijk, J. Broersen and M. Nadort (eds), 229–237, Oxford, UK: Wiley-Blackwell. Remond, A., Hough, M., & Brockman, R. (2013). “The Relationship between Self-compassion and Schema Modes.” Masters thesis, University of Western Sydney, Australia. Roediger, E. 2011. Praxis der Schematherapie. Schattauer: Stuttgart. Roediger, E. 2012. “Why are Mindfulness and Acceptance Central Elements for Therapeutic Change in Schema Therapy too? An Integrative Perspective.” In The Wiley-Blackwell Handbook of Schema Therapy: Theory, Research and Practice, M. van Vreeswijk, J. Broersen and M. Nadort (eds), 239–247, Oxford, UK: Wiley-Blackwell. Segal, Z., Williams, J., and Teasdale, J. 2001. Mindfulness-based Cognitive Therapy for Depression: A New Approach to Preventing Relapses. New York: Guilford Press. Sheffield, A. and Waller, G. 2012. “Clinical Use of Schema Inventories.” In The Wiley-Blackwell Handbook of Schema Therapy: Theory, Research and Practice, M. van Vreeswijk, J. Broersen and M. Nadort (eds), 111–124, Oxford, UK: Wiley-Blackwell. Simpson, S. 2012. “Schema Therapy for Eating Disorders: A Case Study Illustration of the Mode Approach.” In The Wiley-Blackwell Handbook of Schema Therapy: Theory, Research and Practice, M. van Vreeswijk, J. Broersen and M. Nadort (eds), 145–171, Oxford, UK: Wiley-Blackwell. Sobell, M. B. and Sobell, L. C. 1973. “Individualized Behavior Therapy for Alcoholics.” Behavior Therapy, 4:49–72. Solomon, M. and Tatkin, S. 2011. Love and War in Intimate Relationships: Connection, Disconnection and Mutual Regulation. New York: W. W. Norton and Co.
Sorenson, R. L. 2004. Minding Spirituality. Hillsdale, New Jersey: The Analytic Press. St. John of the Cross 1983. Centred on love (M. Flower, Trans.). Varoville, NSW: The Carmelite Nuns. (Original work published 1618). Taylor, B. B. 2014. Learning to Walk in the Dark. Harper One. Ticic, R., Kushner, E., and Ecker, B. 2015. What’s Really Going on Here? How to Navigate Life Using the Hidden Intelligence of our Emotional Brain. Online publication by Coherence Psychology Institute. van Genderen, H., Rijkeboer, M., and Arntz, A. 2012. “Theoretical Model: Schemas, Coping Styles and Modes.” In The Wiley-Blackwell Handbook of Schema Therapy: Theory, Research and Practice, M. van Vreeswijk, J. Broersen and M. Nadort (eds), 27–40, Oxford, UK: Wiley-Blackwell. van Vreeswijk, M. and Broersen, J. 2012. “Schema-focused Mindfulness: An Eight Session Protocol.” In The Wiley-Blackwell Handbook of Schema Therapy: Theory, Research and Practice, M. van Vreeswijk, J. Broersen and M. Nadort (eds), 271–281, Oxford, UK: Wiley-Blackwell. van Vreeswijk, M., Broersen, J., Bloo, J., and Nadort, M. (eds). 2012a. The Wiley-Blackwell Handbook of Schema Therapy: Theory, Research and Practice, Oxford, UK: Wiley-Blackwell. van Vreeswijk, M., Broersen, J. Bloo, J. and Haeyen, S. 2012b. “Techniques within Schema Therapy.” In The Wiley-Blackwell Handbook of Schema Therapy: Theory, Research and Practice, M. van Vreeswijk, J. Broersen, and M. Nadort (eds), 186–195, Oxford, UK: Wiley-Blackwell. Wilson, K. G. and DuFrene, T. 2010. Things Might Go Terribly Wrong: A Guide to a Life Liberated from Anxiety. Oakland, California: New Harbinger Publications. Wright, J., Basco, M. and Thase, M. 2006. Learning Cognitive-behavior Therapy: An Illustrated Guide, Washington, D.C.: American Psychiatric Publishing. Yang, M., Coid, J., and Tyrer, P. 2010. “Personality Pathology Recorded by Severity: National Survey.” British Journal of Psychiatry 197:193–199. Young, J. 1999. Cognitive Therapy for Personality Disorders: A Schema-focused Approach. Sarasota: Professional Resources Press. Young, J. E. and Klosko, J. S. 1994. Reinventing Your Life. New York: Plume. Young, J. E., Klosko, J. S., and Weishaar, M. E. 2003. Schema Therapy. A Practitioner’s Guide. New York: The Guilford Press.